Experience the authentic flavors of Asia all in one place at Party House One’s newly launched Asian-inspired lunch buffet. 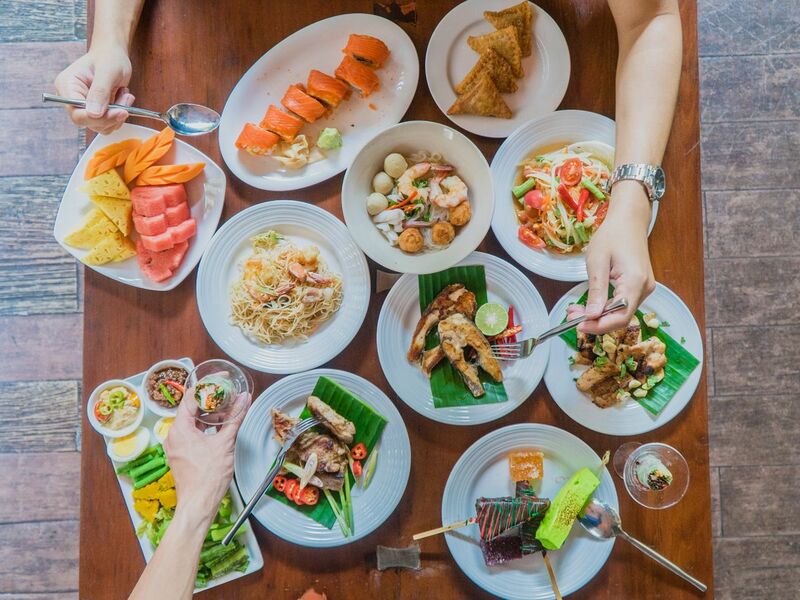 From Thai, Malaysian, Indian, Vietnamese, and Japanese, Party House One’s versatile selection of Asian cuisine will definitely satisfy your taste buds. Lunch will never be the same! classic dishes from Asian countries. You can enjoy flavorful favourites like Nasi Goreng (Stir-fried rice with vegetables and meat) from Malaysia, Aloo Gobi (a vegetarian dish of spiced potatoes and cauliflower) from India, Grilled Fish with Teriyaki Sauce from Japan, and fresh spring rolls from Vietnam. - Present the confirmation email to the staff at “Party House One” restaurant at Siam@Siam Hotel (Opens from 12.00 - 14.30 p.m., Mon-Fri).